Supply chains have become global and highly complex. Building and maintaining a resilient supply chain is crucial in a fast-changing world. 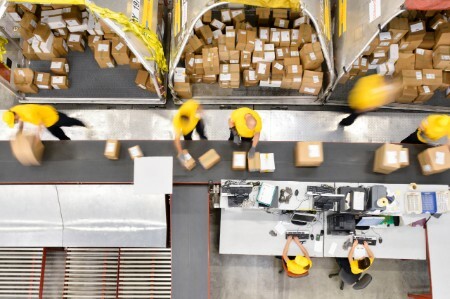 EY Climate Change and Sustainability Services (CCaSS) collaborated with the UN Global Compact on a study to better understand how companies are managing their supply chains in ways that support the objectives of the United Nations 2030 Agenda and Sustainable Development Goals (SDGs). The UN Global Compact is the world’s largest sustainability initiative and EY has been a participant since 2009. The study, The state of sustainable supply chains, draws on business inputs across geographies, sectors and business models. CCaSS and Advisory Supply Chain and Operations professionals interviewed 70 clients globally to explore how they are embedding sustainability in their supply chains by managing risks and adopting new commitments around human rights, the environment and the well-being of the communities in which they operate. Companies are on a continuum — from managing risks, through creating shared value with stakeholders, to achieving differentiation for their products or services. Leaders are achieving competitive advantage in the supply chain through increased collaboration, technology innovation, greater efficiency and supplier diversity. Mature supply chain models integrate buying and sourcing practices with product design and development to enhance sustainability results tied to their manufacturing and service delivery. Currently, only a small percentage of companies have achieved leadership maturity levels that can lead to shared value with suppliers, enable suppliers to operate as an extension of the business and help establish meaningful, collaborative dialogue between suppliers and the business. 1. Assess materiality, to focus on the most pressing issues, taking UN Global Compact principles into consideration. Prioritizing focus areas helps guide investment, metrics and initiatives across the supply chain, and engagement with key stakeholders. 2. Align resources, structures and processes to focus on supply chain sustainability across the organization. Integrating sustainability criteria into the procurement process signals commitment across the organization and to stakeholders; organizational alignment reduces risks and optimizes investment; securing dedicated supply chain sustainability resources can boost the program’s chances of success, given the required technical experience and time commitment. 3. Train management and suppliers on market practices. Capacity building and knowledge sharing across the organization and with suppliers can help establish the business case for sustainability and lead to innovation. 4. Invest in diverse and inclusive supply chain partners. In some geographies, working with small and diverse businesses can help secure regulatory compliance. And embracing different cultures can lead to competitive advantage and innovation, result in direct economic benefits for local communities and reinforce the company’s commitment to the communities where it operates/sources. 5. Stretch existing sustainability goals beyond direct operations, to include tiers of the supply chain. Collaboratively working with suppliers to expand the company’s sustainability goals across the supply chain emphasizes the importance of sustainability alongside other commercial and technical criteria, and conveys the company’s values and sustainability commitment. 6. Deploy technology to increase accountability and transparency. Technology solutions can enable comprehensive supplier performance assessments and can increase internal organizational alignment around supply chain performance metrics, procurement decisions and economies of scale. 7. Leverage buying power and influence to trigger shifts toward supply chain sustainability. Participating in industry collaborations and initiatives does not only result in business value to the members, such as access to common tools, databases and knowledge. It can also give a sector a common voice and scalable influence with suppliers by leveraging the combined power of all partners. 8. Disclose supply chain information, beyond stand-alone sustainability reporting mechanisms. Transitioning to integrated reporting reflects a company’s integrated approach to sustainability and helps it reach a much broader audience of stakeholders. By improving environmental, social and governance performance throughout the supply chain, companies can reduce costs, increase productivity, innovate, differentiate and improve societal outcomes.